You must drain a pool if it becomes too polluted with algae, bacteria, or chemicals. 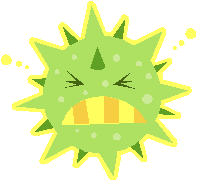 It can be a costly endeavor, but the alternative is further damaging the environment and making people violently ill.
Computer viruses must be treated much the same way. If a virus cannot be removed in less than an hour, then the computer should be reformatted. Otherwise you risk infecting other computers, data loss, and ongoing problems bringing your productivity to a halt. If the device is not under warranty, then get a new machine. It definitely makes no sense to pay extra for work on equipment that is out of warranty and may soon break resulting in replacing anyway. Even with automation, it may take nearly an hour to re-image a machine and up to 4 hours to format and install applications manually. Users should definitely not be saving documents on the desktop or local hard drive. If things like Internet favorites are that critical, then users should occasionally be saving them to their OneDrive. Most computer viruses come from that ultimate business enemy e-mail. The second most common infection comes from browsing non-business related websites. Everyone knows not to click on questionable links and file attachments, but sometimes people are fooled. For your own protection, you really should not be an administrator on your own machine and the firewall should be on just like wearing a seat belt in a car. Free anti-virus protection is definitely not good enough for business environments. To better protect customers and their data, Matrixforce recommends Microsoft Intune to provide cloud-based updates, malware protection, automated software installation, and remote device wipe and restart.